Here's the story. 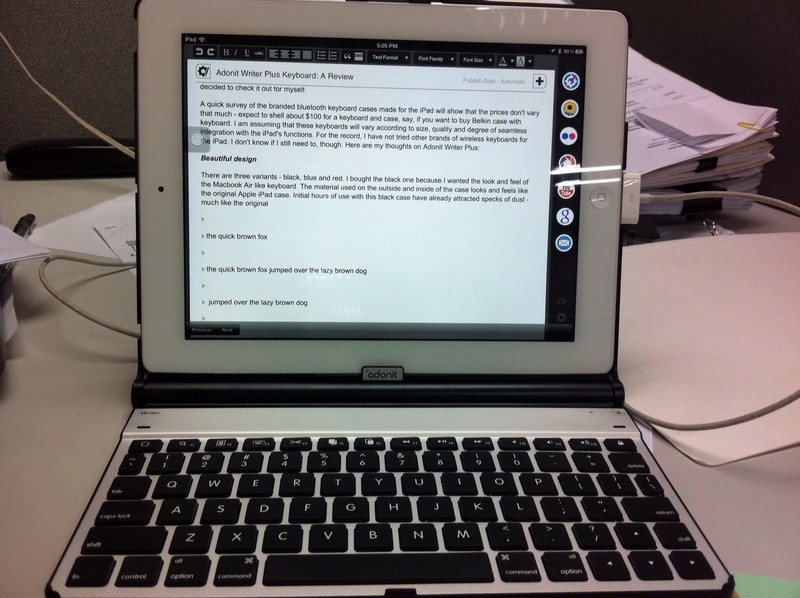 About a week ago, I waltzed into an Apple reseller and was tempted to buy the Belkin slim QODE bluetooth keyboard case. In the Philippines, it retails for about P4160 (when converted, about $95, but only $79 on their website). I almost bought it but when I tested it, I noticed that the semi-colon key is somewhere beside the space bar and that there is no search function. Meanwhile, what I have sitting at home is a perfectly functioning Adonit Writer Plus keyboard case which I bought almost 2 years ago for my 3rd Gen iPad for P4990 (or about $100). You can even read the review I made of it here. However, since the major design changes that came along with the iPad Air slimming down, my iPad Air doesn't fit in the keyboard case anymore. Add to that the significant bulk of the keyboard case making it a pain to lug around, and you've got yourself a perfect example of a perfectly functioning accessory going to waste. The good thing about my old Adonit Writer Plus keyboard case is that it's detachable, unlike the Belkin case that I looked at, and I suppose other keyboard cases, too. 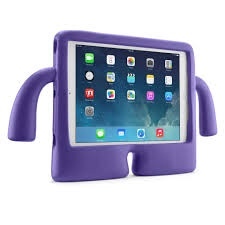 To keep it useful, I just need to have an adequate stand for my iPad (my current case, although pretty, does not hold up well in landscape mode). I'd been checking out the über cute iGuy by Speck for some time, but P1800 (about $40+) for a free standing jelly case seems a bit much. I decided to get a little creative instead. I went to a local store, CD-R KING, which sells a whole bunch of stuff (from electronics to other crazy gadgets – I swear to God I don't know how they do it) and asked for a simple iPad stand. While looking around, however, I saw a funny looking pink devil foam case much like Speck's iGuy, only that it's well, a pink devil with a funny tail. I bought the pink devil case (I don't know what it's called) for P680 (about $15). Unfortunately, the pink devil is not built for the iPad Air but for older iPad models, but it does promise an audio tunnel for better audio and cutouts for all the ports. 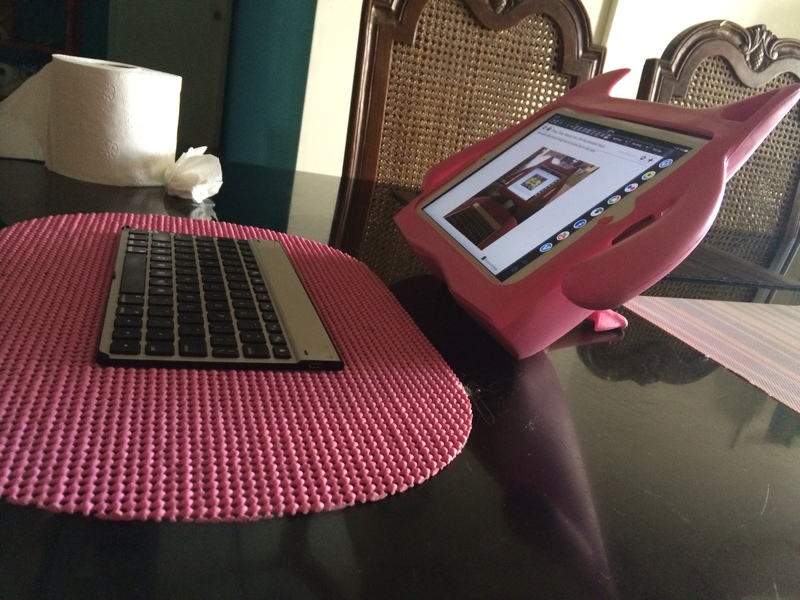 The plus side of it is, my iPad Air together with its case fits. Note that the foam is tight fitting and clingy so stuffing an iPad and case inside is a bit of a struggle, but at least it's a small comfort that iPad won't easily fall out of the case. 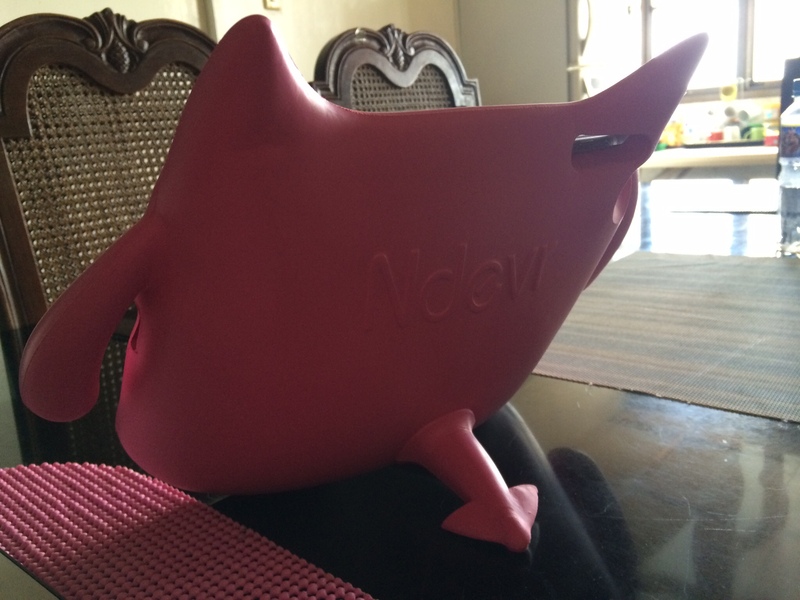 The pink devil relies on its detachable tail for leaning, and the iPad + case inside helps provide enough heft for the pink devil to lean back. 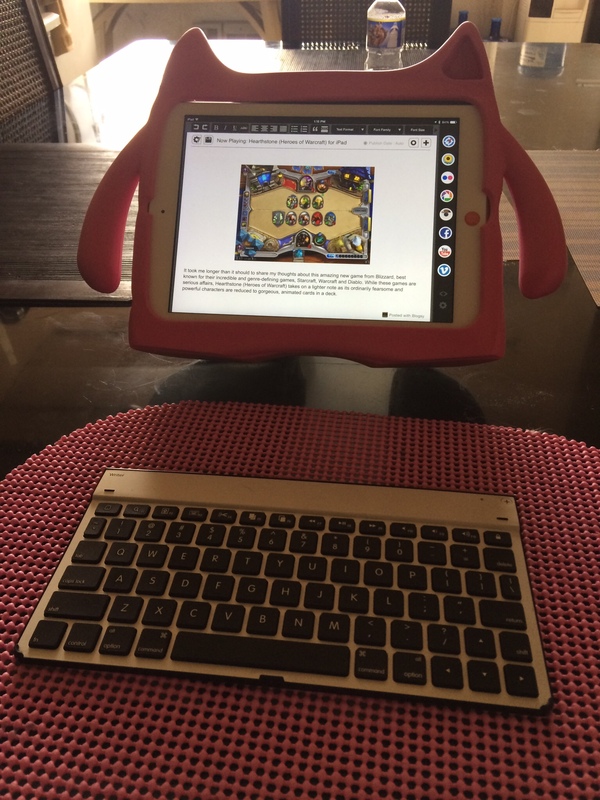 The pink rubber place mat is just plain coincidence but it's nice that it matches my jelly case… And I saved myself an (ultimately) unnecessary P4160 while maximizing my Writer plus keyboard, which is still fantastic even though it's almost 2 years old. The takeaway from my experience is that with a little creativity you can maximize your old accessories and use the savings for something else. So far, portable bluetooth keyboards have remained the same, reliable workhorses without major changes (at most backlit keys, perhaps), hence, absent any groundbreaking inventions to how we use a keyboard, your average BT keyboard will be useful for a bit longer. 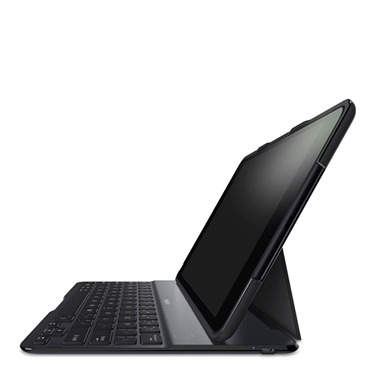 If you must buy a bluetooth keyboard case for your iPad Air, get one that is detachable so that you can still recycle it for future iPad iterations. More importantly, consider if buying that spanking new accessory now will really be worth it in the long run.